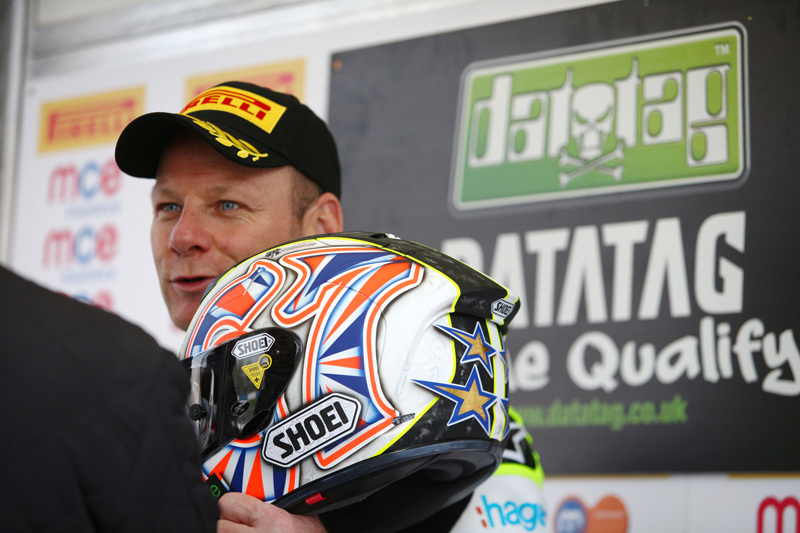 Defending champion Shane 'Shakey' Byrne leads the MCE Insurance British Superbike Championship standings ahead of his home round of Brands Hatch (17/18/19 April) as the PBM Kawasaki rider fended off a hard-charging Dan Linfoot to secure the race two win at Donington Park. There was drama before the race even got underway for race one winner James Ellison as the JG Speedfit Kawasaki rider had a problem with the battery, which meant he was forced to start from the back of the grid after the team frantically worked to get him out on circuit. The Kendal rider charged through the field to salvage a 12th place finish. 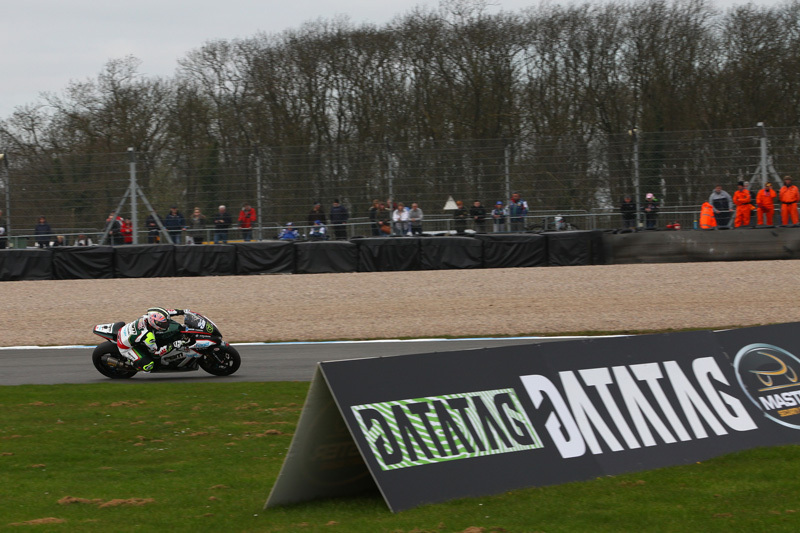 On the opening lap Byrne led the field into Redgate for the first time, with Stuart Easton, Dan Linfoot and Ryuichi Kiyonari in close contention as Josh Brookes also pushed to add to his podium-finishing tally. 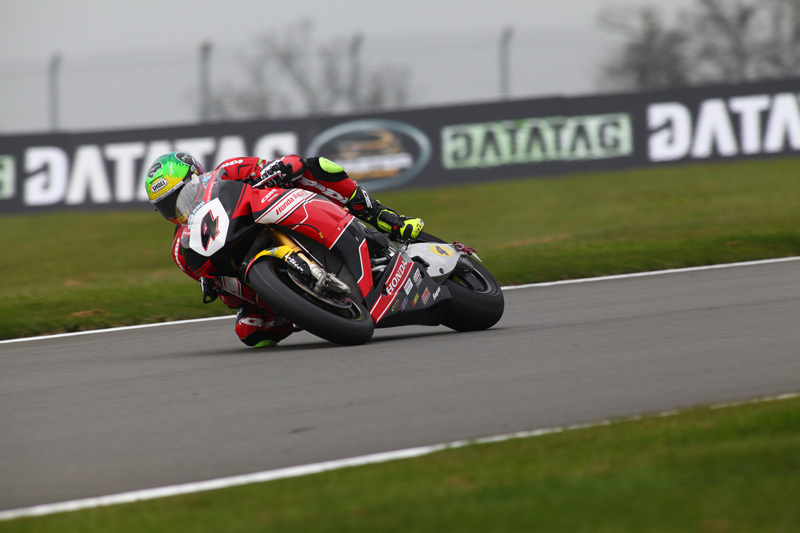 Linfoot was soon up to second and was piling the pressure on the defending champion, taking the lead on the fifth lap for the first time onboard the Honda Racing Fireblade. There was more disappointment for Buildbase BMW in the second race as Kiyonari suffered a huge high-side on the sixth lap, which saw him crash out of contention. He was left battered and bruised but showing his frustration in the gravel trap. The crash left Brookes running off track too as he took evasive action, which dropped him down the order, but a determined ride meant he clawed his way up to sixth for Milwaukee Yamaha. Meanwhile at the front Linfoot was defending hard and despite Byrne pushing to make a move, he wasn't going to give up the position without a fight. By lap 11 'Shakey' had edged ahead, but the pair were inseparable as Easton waited in the wings to take the advantage if the opportunity arose. Byrne was trying to gap his Honda rival but Linfoot was strong on the brakes into the Esses and two laps later he regained the lead, however as the pair went side-by-side into Melbourne it was Byrne who exited the hairpin ahead. By lap 17 the pair were really scrapping in their quest for supremacy with positions changing five times in one lap as they gunned for the second race win of the day. Linfoot had held the lead over the line, only for Linfoot to attack at Hollywood, with Byrne reclaiming the advantage before the Old Hairpin. The pair then swapped positions again at the Esses and at Melbourne before the decisive last lap decider. 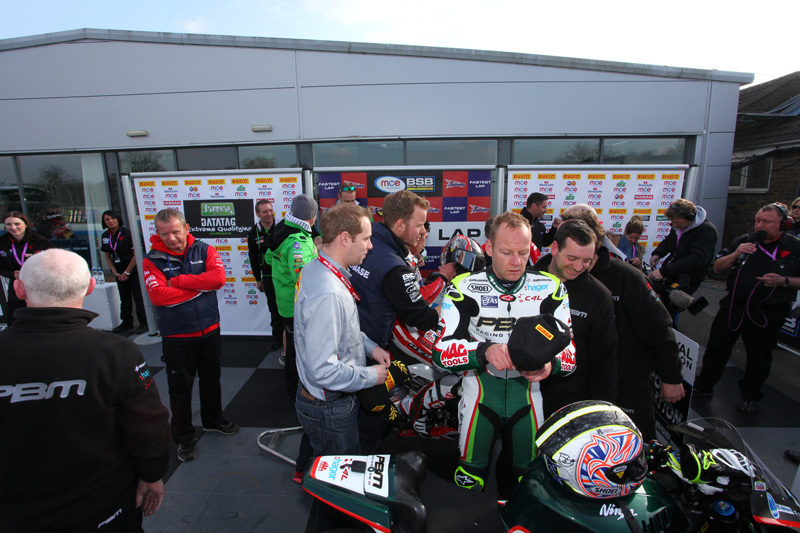 Byrne had held the position and despite Linfoot's best efforts he claimed second place with Easton returning to the podium in third. 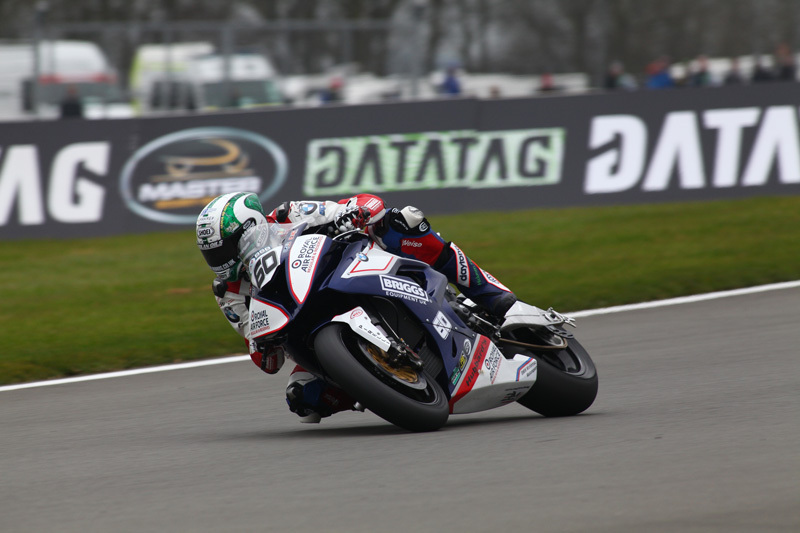 In the next group Peter Hickman scored an impressive fourth place for RAF Reserves BMW with Christian Iddon scoring fifth place for the Bennetts Suzuki team on their debut. Michael Laverty was back inside the top ten in seventh ahead of team-mate Tommy Bridewell. 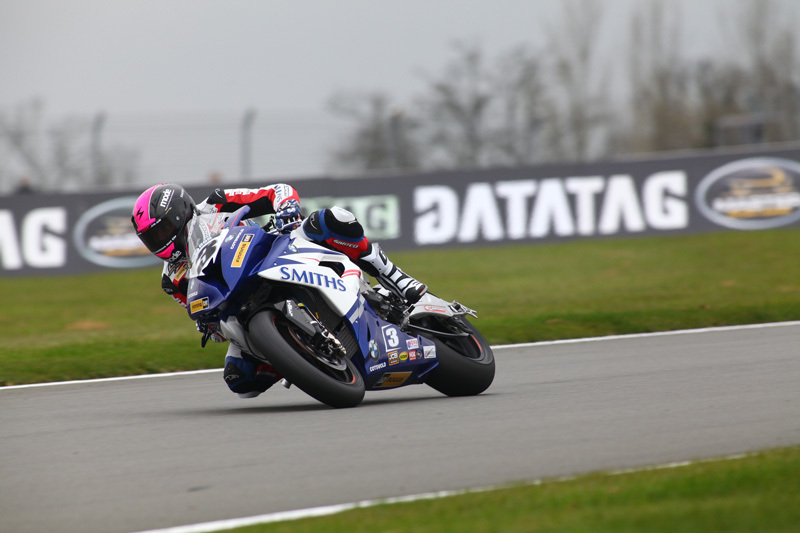 Billy McConnell bounced back from his race one crash to finish ninth for Smiths Racing BMW with Chris Walker completing the top ten as his Be Wiser Kawasaki team-mate crashed out unhurt. 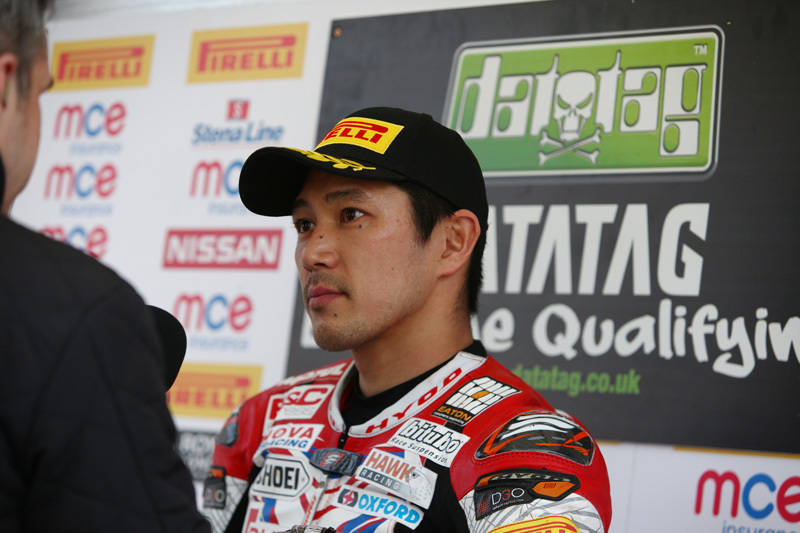 Ryuichi Kiyonari snatched the first pole position of the 2015 MCE Insurance British Superbike Championship season from James Ellison in a frantic Datatag Extreme Qualifying session at Donington Park ahead of the 2015 opening races tomorrow (Monday). Kiyonari had set the pace after the opening day yesterday, but reigning champion Shane 'Shakey' Byrne had held the edge in the final morning free practice. 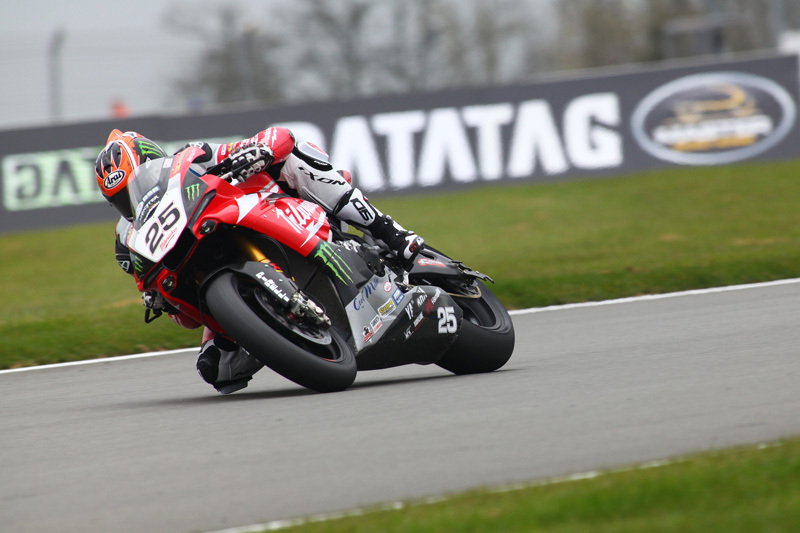 The Buildbase BMW rider was instantly on the attack and displaced Ellison from the top spot, despite the JG Speedfit Kawasaki rider upping the pace again in the closing stages. Kiyonari said: "I am very happy to be on pole, because I was very nervous before the start of the session. For sure, tomorrow is more important, but we are in a good place now for the races. I want to keep improving all the time, so we will push more tomorrow." Byrne was fighting to wrestle the pole position away from his Japanese rival, but the injured reigning champion had to settle for third to complete the front row for PBM Kawasaki. Josh Brookes fired the Milwaukee Yamaha into fourth to head the second row from the second PBM Kawasaki of Stuart Easton with Danny Buchan and the Be Wiser Kawasaki team completing the second row on their debut. Peter Hickman clawed his way up to seventh onboard the RAF Reserves BMW as he moved ahead of Broc Parkes, who overcame a Q1 crash at Redgate to qualify eighth on the second Milwaukee Yamaha. 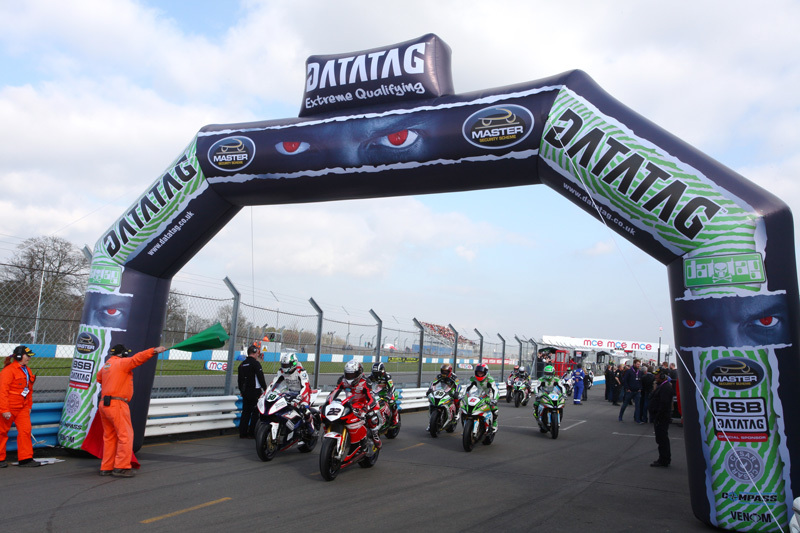 Dan Linfoot and Billy McConnell completed the top ten for Honda Racing and Smiths BMW respectively.